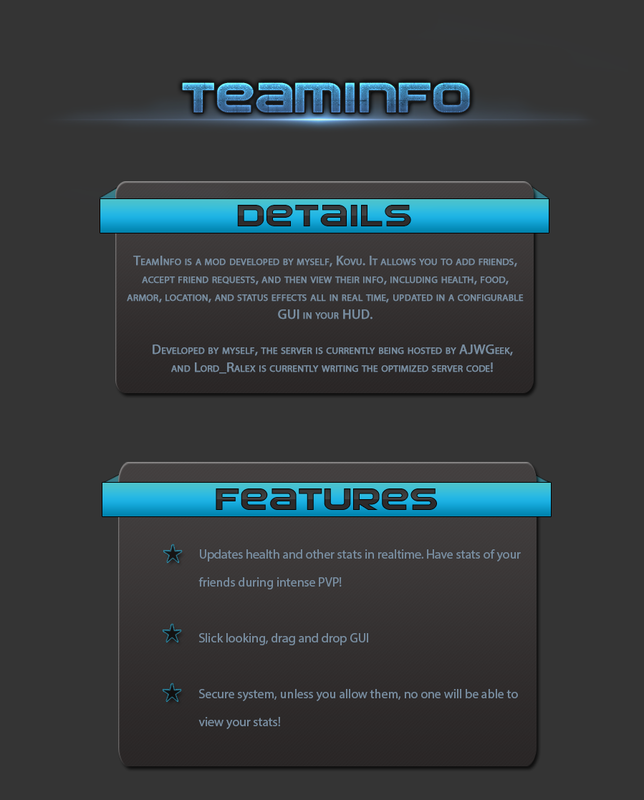 TeamInfo Mod download and install files that you need to enhance your Minecraft experiences. 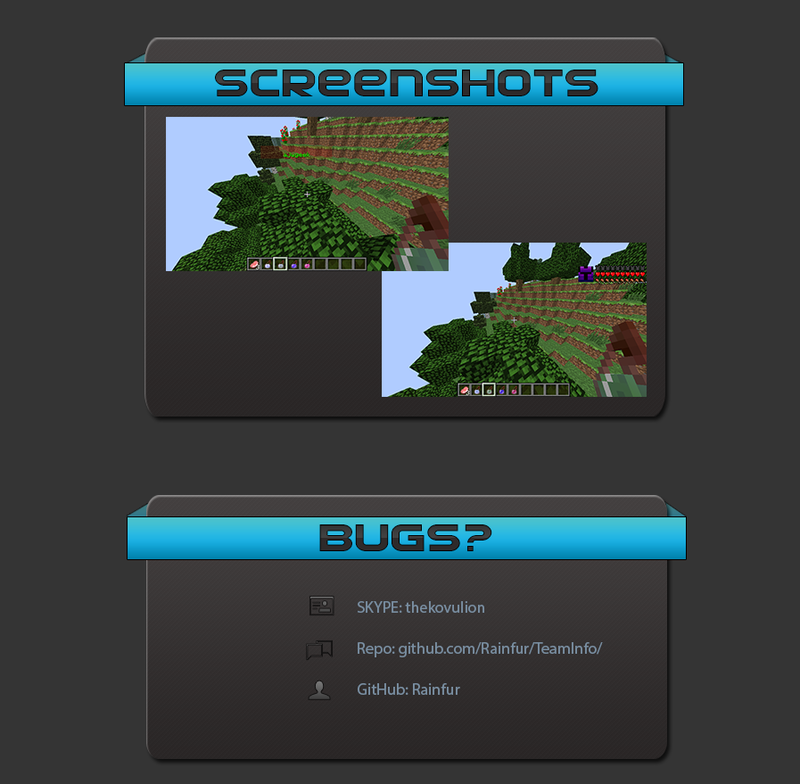 Put the jar file of TeamInfo Mod into mods folder and then run Minecraft. Done!